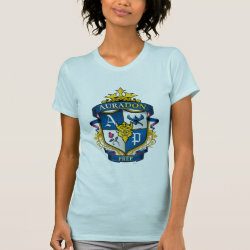 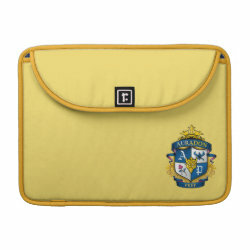 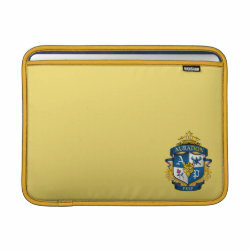 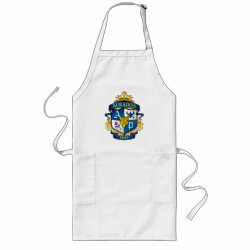 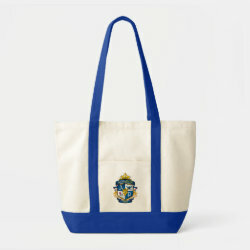 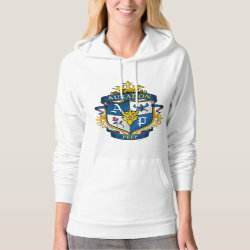 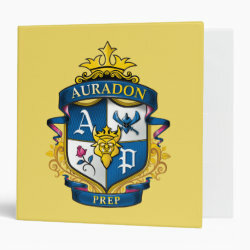 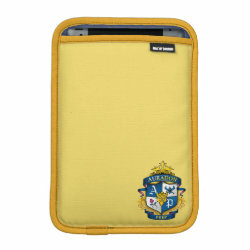 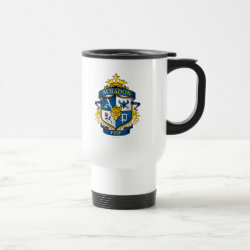 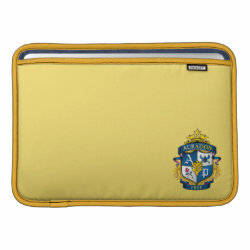 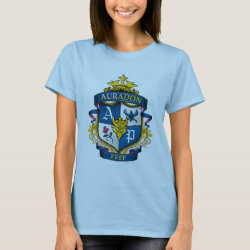 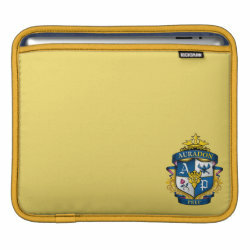 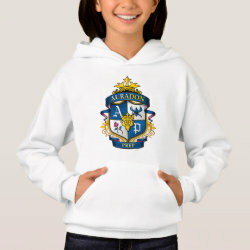 This is a crest-style design inspired by the school featured in Descendants: Auradon Prep. 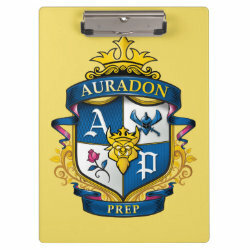 A shield shape has two icons from the series, including a More... red rose. 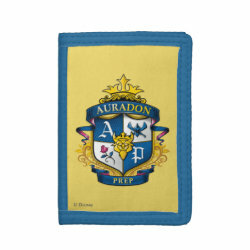 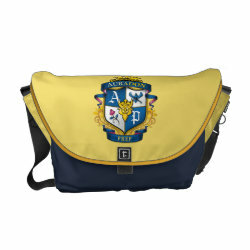 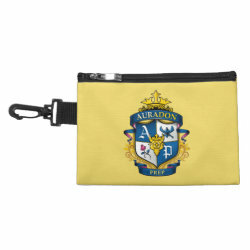 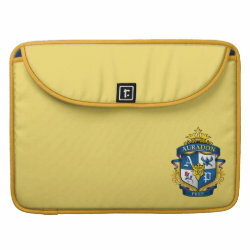 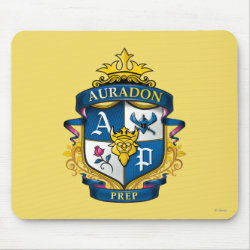 Two other sections in the crest have the letters A and P for Auradon Prep. 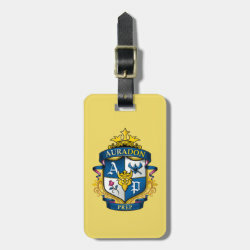 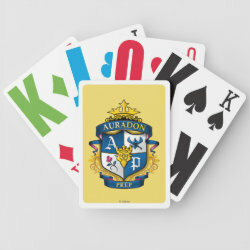 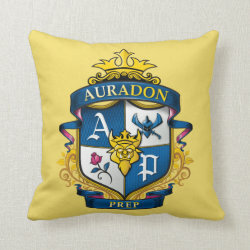 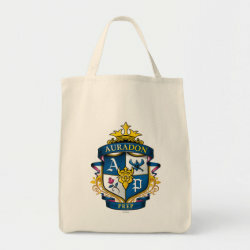 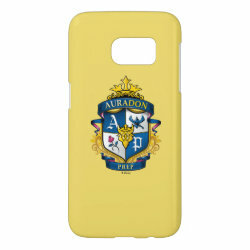 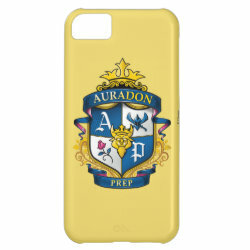 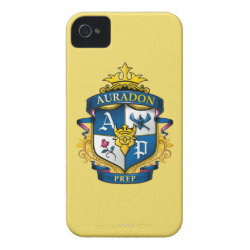 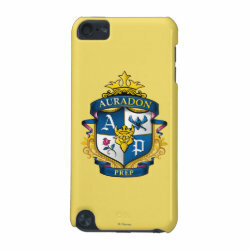 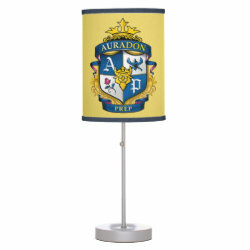 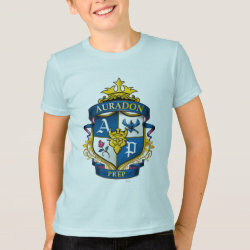 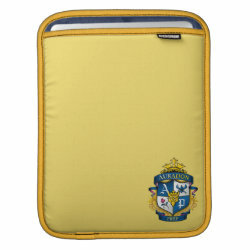 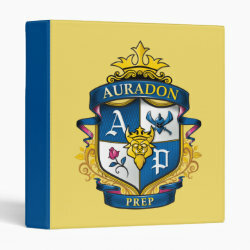 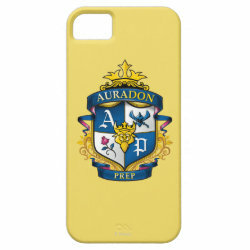 The crest is flanked by blue ribbons above and below, with text reading "Auradon Prep". 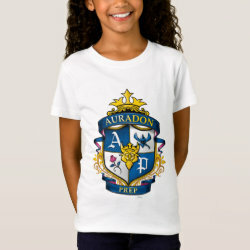 In the center of the design is a stylized illustration of Beast's face.